After an extensive review of the latest scientific evidence, the U.S. Food and Drug Administration announced that it is requiring class-wide changes to drug labeling, including patient information, to help inform health care providers and patients of the serious risks associated with the combined use of certain opioid medications and a class of central nervous system (CNS) depressant drugs called benzodiazepines. Among the changes, the FDA is requiring boxed warnings the FDA’s strongest warning and patient focused Medication Guides for prescription opioid analgesics, opioid containing cough products, and benzodiazepines nearly 400 products in total with information about the serious risks associated with using these medications at the same time. Risks include extreme sleepiness, respiratory depression, coma and death. Today’s actions are one of a number of steps the FDA is taking as part of the agency’s Opioids Action Plan, which focuses on policies aimed at reversing the prescription opioid abuse epidemic, while still providing patients in pain access to effective and appropriate pain management. Given the importance of reaching health care professionals and the public with information about the risks of using these products together, The FDA also issued a Drug Safety Communication. Through the Drug Safety Communication and by requiring patient Medication Guides, the agency also provides information for anyone who is taking, or who knows someone taking, either of these types of medications and encourages them to better understand the risks of taking them together; and, when it is medically necessary, for health care providers to be careful to prescribe them as directed, without increasing the dose or dosing frequency for either drug. 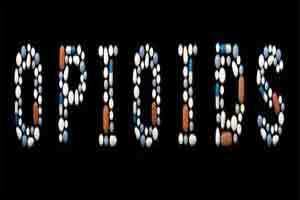 Opioid analgesics are powerful pain-reducing medications that include prescription oxycodone, hydrocodone, and morphine, among other drugs, under both brand and generic names. Certain other opioid medications are also approved to treat cough. Opioid analgesic misuse and abuse have increased significantly in the United States over the past two decades, and represent major public health concerns due to the risk of coma and fatal respiratory depression associated with opioid analgesic overdose. Benzodiazepines are drugs typically prescribed for the treatment of neurological and/or psychological conditions, including anxiety, insomnia and seizure disorders. Both classes of drugs depress the central nervous system (“CNS depressants”); however, each has unique pharmacology, safety risks, and labeling information related to its use. Therefore, the FDA is requiring opioid analgesics, prescription opioid cough products, and benzodiazepines to have slightly different labeling. Additionally, due to the unique medical needs and benefit/risk considerations for patients undergoing medication assisted therapy treatment (MAT) to treat opioid addiction and dependence, the FDA is continuing to examine available evidence regarding the use of benzodiazepines and opioids used as part of MAT. Clinical guidelines from the U.S. Centers for Disease Control and Prevention (CDC) and existing labeling warnings regarding combined use caution prescribers about co-prescribing opioids and benzodiazepines to avoid potential serious health outcomes. The actions of the FDA tare consistent with the CDC. In February 2016, the FDA received a citizen petition from numerous local and state public health officials and other stakeholders asking the agency to make certain changes to the existing labeling for benzodiazepines and opioid analgesics. The FDA had already initiated a review of the scientific information on concomitant use of these two drug classes when the agency received the petition, and was encouraged that these public health officials shared the agency’s concerns. The FDA also responded to the citizen petition.